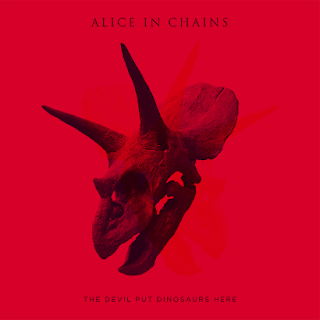 The new Alice In Chains album, “The Devil Put Dinosaurs Here,” has debuted at #2 on the Billboard 200. The band’s fifth studio album sold 62,000 copies in its first week of release, according to Billboard. The project was recorded in Los Angeles with producer Nick Raskulinecz (Foo Fighters, Deftones). Alice In Chains recently wrapped up the first leg of a US tour; the group will play two festival dates in Europe this month – Copenhell in Copenhagen, Denmark on June 14 and the UK’s Download Festival on June 15 – before launching a Canadian tour on July 1.